The Marquis industrial vacancy rate which currently sits at 16.7 per cent (overall city industrial vacancy rate is 10.3 per cent) has finally changed direction and appears to have stabilized over the last two quarters. This slowdown in new construction will allow further absorption of the existing 1,923,731 square feet of total city industrial vacancy. What is the total vacant and unsold industrial sites? According to the City of Saskatoon, 12 sites remain unsold and 62 sites remain vacant within the Marquis Industrial sub-sector. Of these sites, 36 are zoned light industrial (IL), with the remaining thirty-eight sites zoned heavy industrial (IH). This results in a total of 166.94 acres of land sitting either vacant or unsold within this one sub-sector. Asking prices for lots within the Marquis Industrial sub-sector range from as low as $480,033.00 per acre to as high as $676,511.63 per acre. The five Marquis Area building permits issued this year total 98,400 square feet of construction according to the City of Saskatoon building department. You might be interested to know this new construction includes a Tim Horton’s along with a retail strip mall on Marquis Drive as well as a car wash. 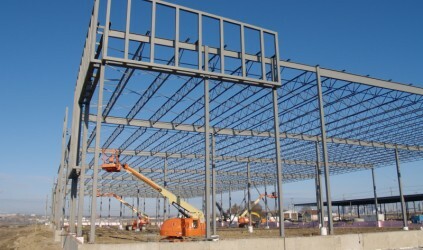 The other construction permits were issued to owner occupants for their own industrial use. We could be two years away from any significant speculative building in this sector. Industrial developers will need to see significant absorption of the existing inventory prior to committing additional new capital.